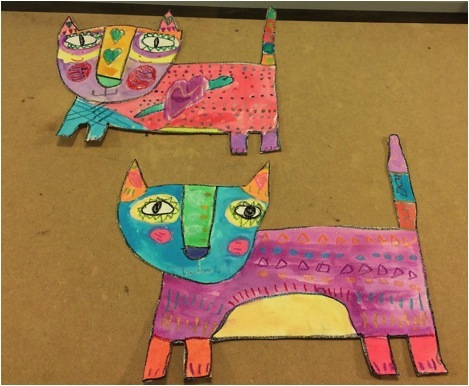 Our teachers are wholeheartedly encouraging students to bring their wildest imaginations to life with these beautiful, whimsical cats. 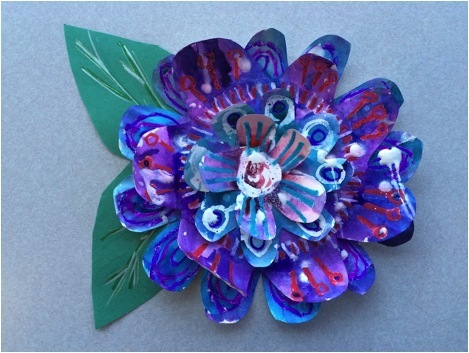 This 3D flower project is perfect for children wanting to try their hand at sculpture! October is Art History Month at Arts For Life, and students are taking their cues from experts including Miroco Machiko, an award-winning Japanese painter and illustrator. July is Printmaking + Color Theory Month at Arts For Life! 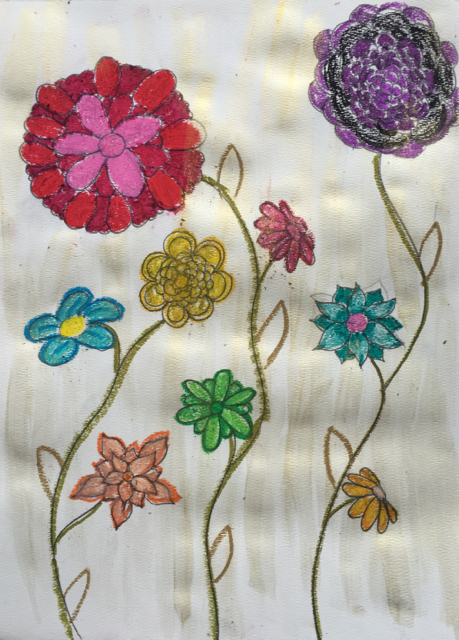 Activities impress upon students the very important role color has in artistic composition, like this lesson, which helps them explore the brilliant effects of layering color. 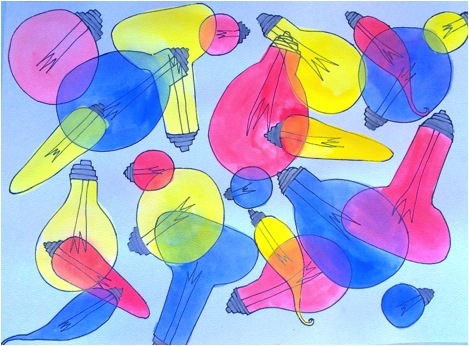 July is Printmaking + Color Theory Month at Arts For Life! Teachers have been impressing upon students the very important role color has in artistic composition, through activities like this Complimentary Color Names lesson. 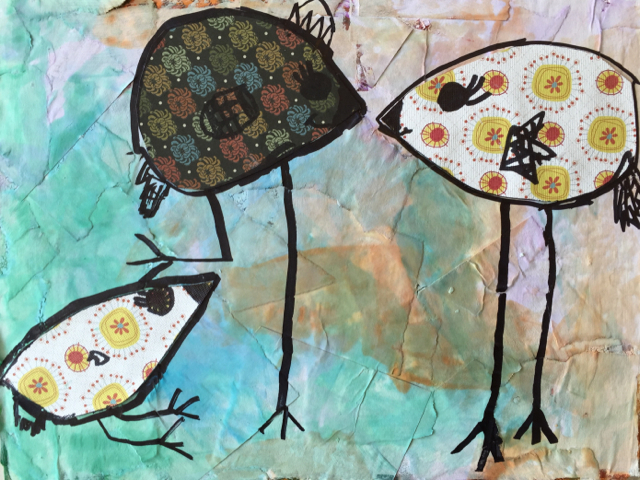 Lesson goals: To increase awareness of the artwork of Asheville artist Jaqui Fehl through the creation of a piece of work inspired by her style. 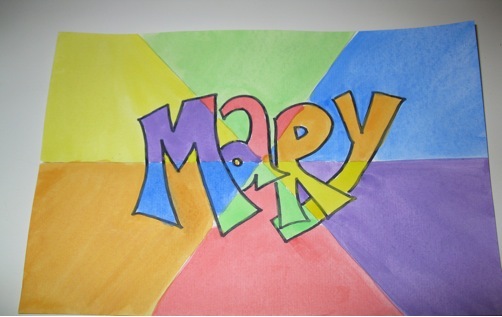 To encourage creative thinking by exploring elements of drawing and collage. And to practice the collage skill of layering elements to achieve a dramatic effect.